Everyone needs to listen to this version of Yoo Jae Ha’s “그대 내품에” right now that Confused Elephant sang. With your eyes closed. It’s so beautiful. I even teared up a little. This is a voice that could sing to me every night, EVERY night. 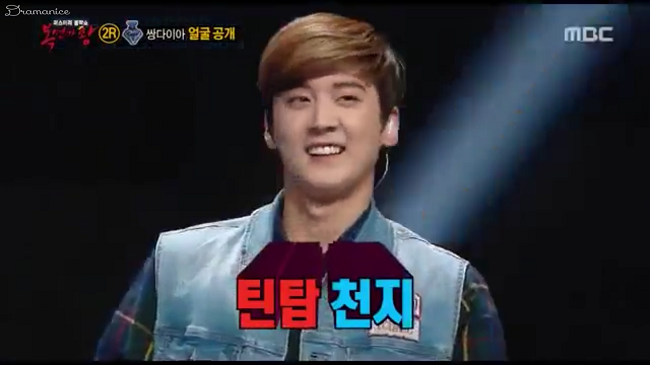 All right, I’m just going to outright and say that I know who this is, it’s Teen Top’s Chunji. He’s not the group’s emotional vocal for no reason. Did anyone notice how super low his voice got? I liked Teen Top since their “Clap” days, you know when they were practically babies. It’s nice to hear their voices maturing. It’s a good change. Lol, look at his little bald spot and comb over. Now, they have to wear those wigs throughout the rest of the episode. So I want you to just watch this lady sing. Explanation will come later. Changmin 2.0 sang Lee Juck’s “다행이다” and it was good and husky (?) and gave me goosies everywhere. Isn’t this one of those that people sing at weddings all the time? There’s even a little organ sound in it, lol. Mystery Bride loses and she turns out to be a he. A HE! Like who would have thought that that voice belonged to a guy. Mystery Bride is Birth of a Great Singer’s Winner Baek Chung Kang, who went on a hiatus due to an illness (I think it’s some kind of cancer) and now he’s back and healthy and ready to crush expectations and norms. Look at him changing shoes right after he leaves the stage, haha! Both of them put on marvelous performances that in order to really appreciate them you HAVE to listen to it with your eyes closed. Also, I wish MBC Entertainment would upload the full version 주세요 (juseyo) because these shortened versions do not do them justice. Beautiful. Just Beautiful. Confused Elephant sang Baek Ji Young’s “Like A Bullet” and impresses her, the panel, the audience, my neighbor, the birds outside, and my heart. He’s that good that Baek Ji Young asks when his contract ends. With his performance, you could totes feel his soul and heart. Ugggghhh, I wished there was an official full version. His performance just got better and better within the 3 minutes. But I personally really like Confused Elephant’s voice and was a little upset that he was eliminated. On the bright side, we get to finally know who he is, yay! And it’s someone I don’t know…lol. Confused Elephant is someone by the name of Im Se Joon and he’s associated with Yoo Min Soo and 4Men and all those other super good singers. He even produced Shin Yong Jae’s “The Reason I Sing”. Now, I’m a fan girl and I better see him on Immortal Songs or some other singing show. Now it’s Cleopatra’s turn to sing, and he, of course, does a marvelous job with his rendition of Im Jae Bum’s “이밤에 지나면” and even does a cute little dance in the middle of it. I think what really hits me is when he sings the “oorin” part because it really does feel like he’s talking about us. Though it could be a bad thing, lol, I wouldn’t know. But for now I think of it as a positive. 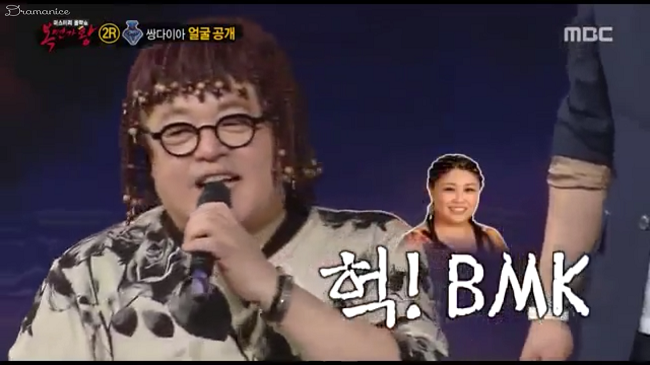 Cleopatra wins for a second week and Changmin 2.0 is veteran singer Jo Chang Hyuk, whom K.Will also guessed correctly. Man, he is on a roll! 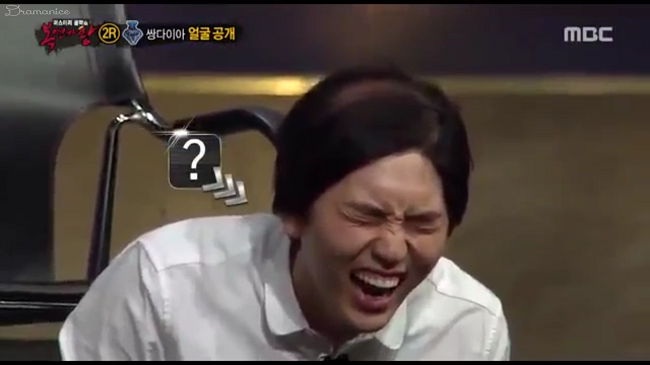 Some people thought that it was SHINee’s Jonghyun, in which K.Will (and I) were adamant that it was not. Anyways, it was a shame that he lost. Let me know what was you’re favorite performance of the episode! Also if you missed Episode 9’s recap, you can catch it here and also you should definitely watch this for a good laugh! Actually Jo Chang Hyuk by far (in my opinion), the nearest and the strongest challenger for Cleopatra, all 3 of his performances were perfect, but the impact from Cleopatra was still there and he did another exciting song that day to counter back Jo Chang Hyuk’s rock performance. Lee Jung able to dethrone Cleopatra because of his super fun & exciting performances vs less popular traditional song. Everyone knows Cleopatra is Kim Yeon Woo, and everyone knows how well he can sing, it’s normal for people to start cheering for another singer after 4 consecutive weeks as the king.